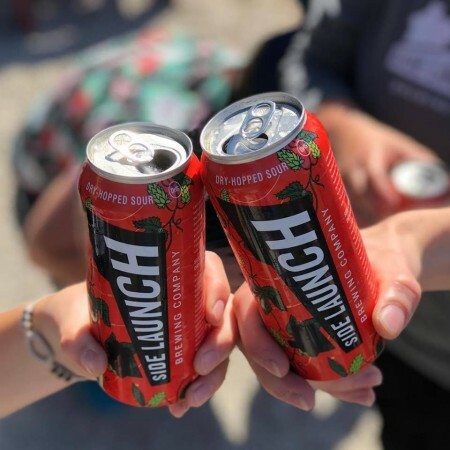 COLLINGWOOD, ON – Side Launch Brewing has announced the release of a new summer seasonal beer. Dry-Hopped Sour had a preview release on tap and in bottles at the brewery last month, and is now available in 473 ml cans at the Side Launch retail store and select bars, with an LCBO release coming soon. A two-venue launch party for the beer will be taking place today (June 18th) in Toronto, at Bar Hop Brewco (137 Peter St.) from 3:00 to 5:00 PM, and Get Well (1181 Dundas St. W.) from 6:00 to 10:00 PM.